The crisis that economies in developed countries are subject to has forced companies to search for imaginative solutions to achieve their goals. Resources are increasingly limited and every effort should focus on developing competitive advantages and on strategic activities. It is right at this point that outsourcing gains importance. In general, we can define outsourcing as subcontracting external services. In other words, it is delegating to another company, processes or activities that are not part of the core business of the company, that is, all non-strategic activities. Here is the first issue, what is a strategic activity or process? Strictly speaking, strategic implies that it generates a decisive competitive advantage, the distinctive feature that allows us to be the option chosen by our customers, what we call “order winners”, literally meaning capable of winning orders. An activity or process like this should never be outsourced, whereas “core” or central activities can be. To set an example, think of computer services in a bank. IT is a core activity, but not necessarily strategic, therefore, it can be outsourced. As you can see, there is great subjectivity regarding what is strategic and what is not and, consequently, regarding what can be outsourced. It depends on the type of company, whether it is family-run or a multinational, its origin, whether it’s Japanese, American or European, and on the economic situation, if there is a downturn or it is good. In short, there is no fixed rule. Although I think that presently the more we outsource, the better, as it gives us flexibility and responsiveness in an unstable market, I will never argue with a company or employer not willing to outsource a process because, most likely, we can reach the same goal through different means and, in this regard, corporate culture often determines such decisions. A company can never go against their own culture. In any case, corporate culture can be gradually changed, but it can not oppose to such important decisions. 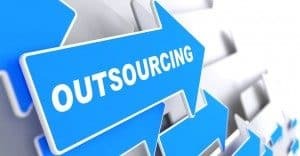 Getting back to the concept of outsourcing, assigning specific tasks to external specialists enables companies to reduce costs (infrastructure, staff, etc. ), and to focus on the core business activity, hence improving productivity and competitiveness. A proper analysis of business objectives is essential for successful outsourcing. This analysis will further require objective assessment and classification of all the company’s processes and priorities in order of importance. Once the tasks to be outsourced are identified, the providers are assessed, and the business objectives are defined with the provider, it is important that the service hired is reliable, taking into account that the company has to control outsourced processes through management indicators. The diagram below shows the most suitable approach depending on whether the activity or process to be outsourced is auxiliary or added value. According to Peter Drucker, and to top it off, “Companies only have two strategic activities; innovation and marketing, you can outsource the rest.” Suffice to say that these days, and thanks to collaboration with technology centres, even innovation is outsourced. 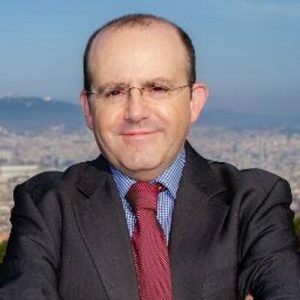 For successful outsourcing (and successful relationships, whether social, economic or labour), one of the most important aspects, if not the most, is fluent and ongoing two-way communication between the company and the supplier. This is another key aspect in any relationship. We need to assess thoroughly before starting work with a supplier, so that when the relationship begins, there is enough confidence. In this regard, the culture of the two companies, the one outsourcing and the one providing the service, should be close, at least not incompatible. In order to reach the goal, it is essential to set deadlines and schedule all the activities from the start. Every outsourcing process has a critical start-up phase, which needs to be planned with project management tools so as to achieve the target cost, time and scope established initially. Outsourcing just because does not make sense. In order to take this step, the company should be positive that it will not only entail a reduction in costs, but it will also allow for greater productivity and competitiveness. Before outsourcing, the benefits expected should be made clear. My practical recommendation is that we should start outsourcing simple activities that do not involve internal management issues that are complex to solve, since outsourcing is like an oil tank –if the first activities work out fine, we continue, otherwise, we stop at once and lose the enormous advantages it offers.